I have burger cravings ALL the time. They are my favorite food group. I can’t think of a meal time or event where burgers aren’t welcome. Burgers can be so versatile too, you just have to be willing to experiment a little bit! These Tex-Mex Burgers with Cowboy Caviar are not your typical burgers. I am always looking for meal solutions that are convenient and fit into a healthy lifestyle. So I checked out the frozen foods section at Walmart to pick up some “as is” burgers, so all I had to do was grill and serve. 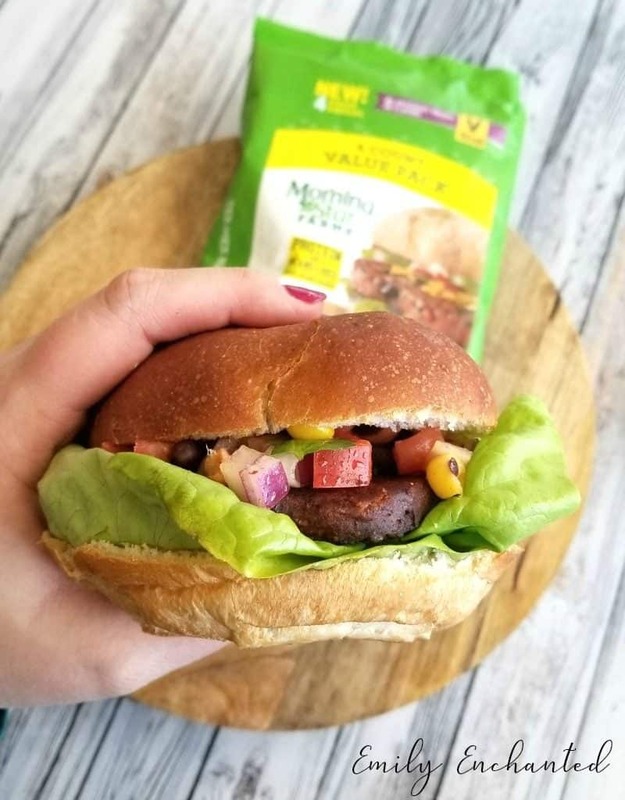 MorningStar Farms® Tex-Mex Burgers are delicious and are a 100% plant based protein from beans and rice. These quarter pound burgers are bigger than ever! They are perfectly seasoned with green chiles, jalapeno peppers and red peppers. 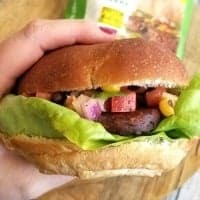 These vegan burgers pack 11 grams of protein from black beans, pinto beans, garbanzo beans and rice. You don’t have to be a vegetarian to enjoy these burgers! 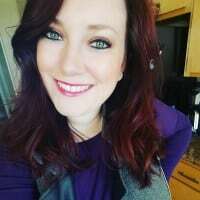 Get recipe ideas here. MorngingStar Farms Tex-Mex Burgers pair perfectly with a cowboy salsa on top, also known as cowboy caviar. This recipe is great for dips and as a side dish. It makes a lot, so there is plenty to go around and to save for later. In a large bowl, whisk together the olive oil, white wine vinegar, chili powder, and salt. Add the MorningStar Farms Tex-Mex Burger to a bun with lettuce. If you prefer, you can add cheese and condiments. Using a spoon or large scoop, add the Cowboy Caviar on top of the burger. Cover with bun. Add a toothpick to hold it all together. If you love this burger recipe, get more inspiration here. 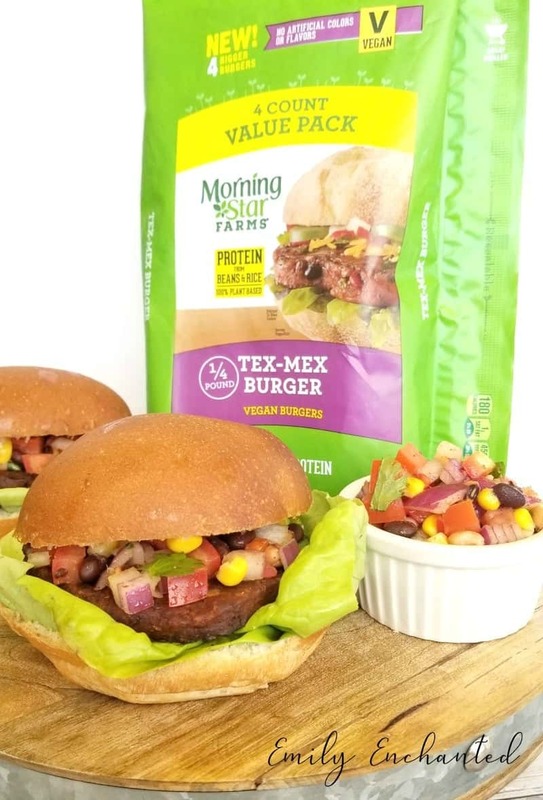 MorningStar Farms® Tex-Mex Burgers are delicious and are a 100% plant based protein from beans and rice.